An internal Samsung presentation about the upcoming Galaxy S8, the Korean company is getting ready to bring Continuum-like functionality to Android. 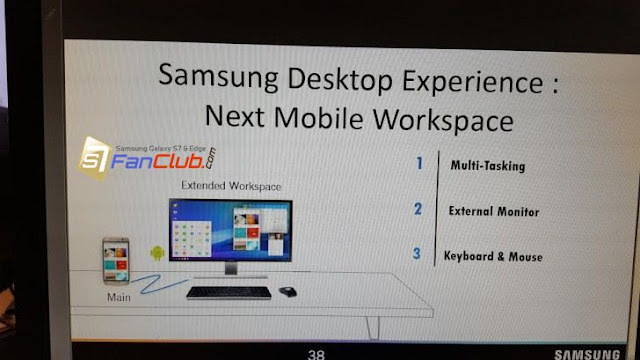 As you can see, the phone is going to be connected to the monitor through a cable, whereas you’ll use Bluetooth to connect the keyboard and mouse, we assume. This will offer you an extended workspace, with a full desktop experience, and multi-window multi-tasking. Since even the source of this leak advises you take it with a pinch of salt, we’d say not to bet anything on it being 100% real just yet. 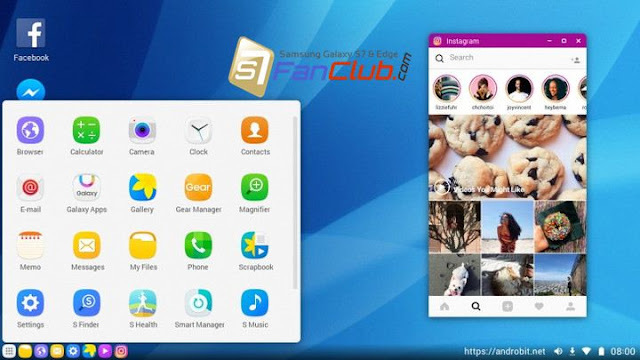 But it would be an intriguing feature for sure, and perhaps yet another differentiator for Samsung’s top of the line devices in an Android world that’s filled with good phones these days. It looks like Samsung will develop its own digital assistant for use on the Galaxy S8. Samsung has trademarked the name “Bixby” for “computer application software for smartphones, mobile telephones, portable computers and tablet computers … used to operate voice recognition system hands-free use of a mobile phone through voice recognition.” This hints that the name may end up being used for its assistant. Reports also indicate that Bixby will be usable in almost all of the Samsung Galaxy S8’s native apps that come preinstalled on the phone. Bixby will also reportedly be a lot more advanced than Samsung’s S-Voice, and will work systemwide — which means you may not see Google Assistant at all on the Galaxy S8.